When I saw that Julia, Julia was coming out I could not wait. I absolutely love Nora Ephron and was excited to see how she blended the two stories together. I was not disappointed. As much as I love Nora Ephron who produced such classics like the movie You’ve Got Mail, I absolutely adore Julia Childs. If you haven’t read My Life In France that Julia wrote with her nephew, run, don’t walk to your nearest bookstore of library and get it. The book really captured all the things that people love about that great American legend. Did you know Julia didn’t know how to cook at all when she was first engaged to be married to the love of her life, Paul Childs? She took classes so she would be able to tackle basic homemaking skills. It wasn’t until she became bored with learning how to make hats and play bridge during their time in France that Julia decided to take a culinary class, because the one thing she knew she had a passion for was eating! After enrolling in the class for housewives she decided she need more of a challenge and moved to the next level. I love that about her. She was willing to roll up her sleeves and learn something new. She never gave up. She was passionate and persistent in all that she did and she never forgot the basics. 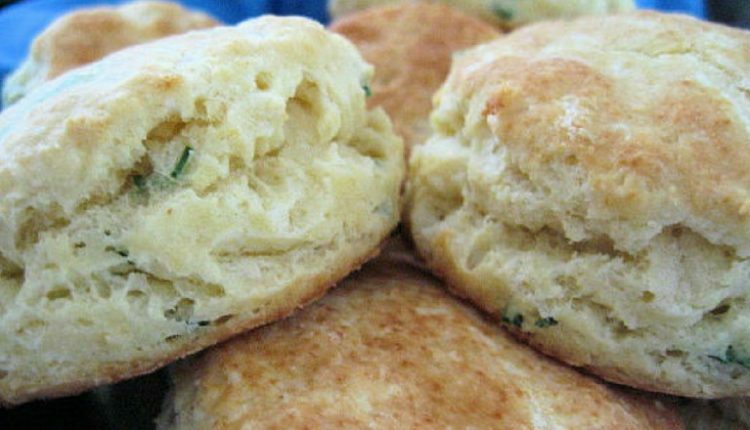 Like this simple recipe for biscuits. This is what Susie said about the recipe she submitted to the Food Network. Quick Tip: These are perfect for egg breakfast sandwiches, but you can add a little fresh parmesan cheese and serve with potato soup! Ready For Something Heavenly? Make These And You Will Hear Angels Singing!